Does D.C. Need Gentrification Commmissions? 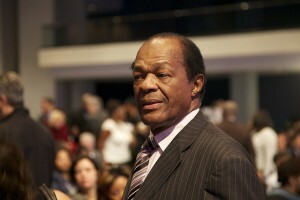 Ward 8 Councilman Marion Barry wants to convene a gentrification commission. When neighborhoods get gentrified, the most vulnerable are often caught off guard. Community activism doesn’t typically gain steam until the prospect of being displaced is eminent. Ward 8 is ripe for gentrification, Barry said, particularly given the high number of renters. Panel speakers referred to gentrification as a looming, unstoppable force. Yes, there were some mentions of dogs and bikes, and Barry remarking that “we have a lot of gentrifiers who are blogging, who are twittering.” Most of the discussion didn’t focus on race, but rather on protecting residents from being displaced through addressing the root causes of poverty: education, jobs and whether residents have become dependent on government assistance. Some concrete suggestions did come out of the panel, such as making D.C.’s first source law applicable to all jobs, not just new hires, and supporting longtime businesses. Anwar Saleem of H Street Great Main Street said his neighborhood’s tale is an example of what can happen if such protections aren’t already in place: longtime businesses lost customers during streetcar construction, but at the same time, owners had to pay higher property taxes. “Why not protect the old time businesses? Why not have a homestead [tax credit] for businesses?” he asked. ANC Commissioner Olivia Henderson pointed to one of the touchier subjects of gentrification: why is it only when white and wealth move into a neighborhood, that a neighborhood gets better? The success of such a commission may very well depend on involving the most vulnerable residents. But they were largely absent during the Wednesday night discussion, resident Robert Cannon noted. “It’s on us to create a platform for those who are struggling, to bring those most affected by gentrification into this room,” he said. Anwar is with H Street Main Street. H Street Great Street is a blog by a neighborhood resident. I think they take different views on this issue. Oops! Will correct. Thanks for the note. Hello, I’m Jay Lee and I would like to ask the Author of this article, why doesn’t he thinks Ward 8 isn’t being gentrified? Hosting this meeting was my idea along with Ms. Brenda Richardson, and I’ve lived in this Ward for over 30 years. We had probably over 100 people in our meeting Wednesday so clearly they do not think the same. Ward 8 is going to be gentrified. What a waste of time and resources. Please get some new leaders in who realize that we need to join forces with whomever has good ideas and a plan. Bring on the intellect, money, resources, and improved services. There is enough room and abandoned buildings for everyone East of the River. This is exactly the kind of “intellect” that necessitates the need for such a commission.